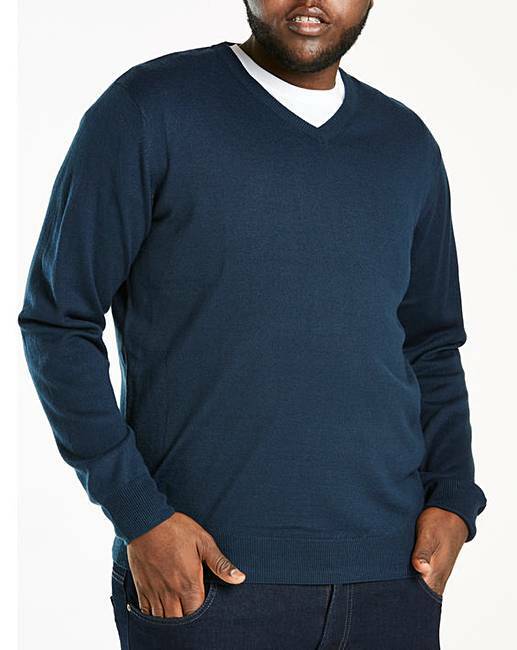 Navy V-Neck Jumper is rated 4.3 out of 5 by 44. 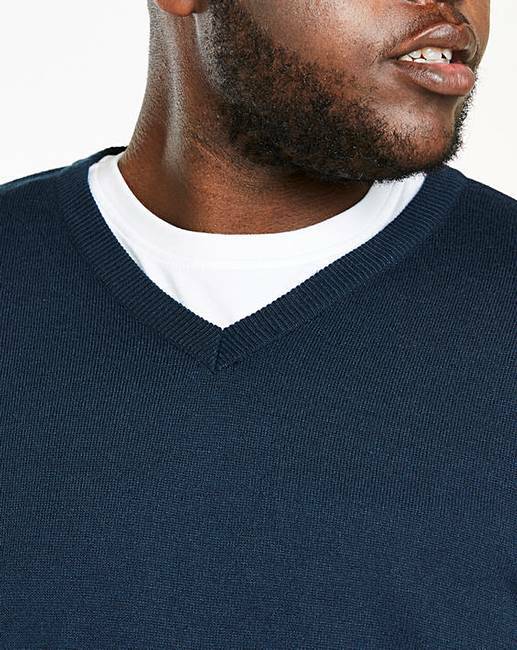 Plain V-Neck jumper with ribbed cuffs, neck and hem. Rated 5 out of 5 by Shazza from Good value Bought for my husband, very good value for money. He hasn’t warn it yet. Rated 5 out of 5 by ang26 from looks great bought for my husband for christmas. 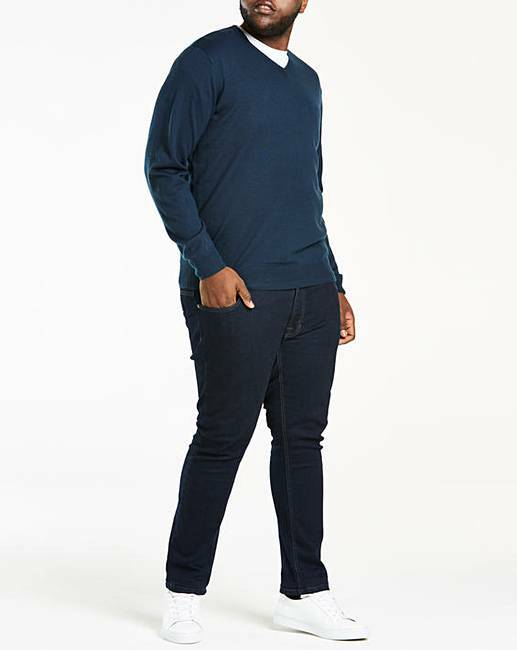 quality is great and it is a great length, as my husband struggles with getting clothes that fit in length. 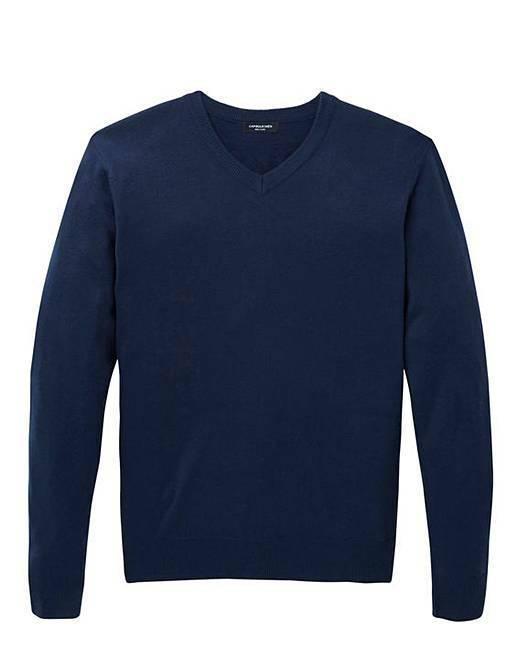 Rated 4 out of 5 by Sue66 from Warm Bought for my husband but he's not worn it yet. So I can't comment. Rated 5 out of 5 by Pete from Warm light weight Haven't used it much yet but it is warm and cosy on these cooler mornings. 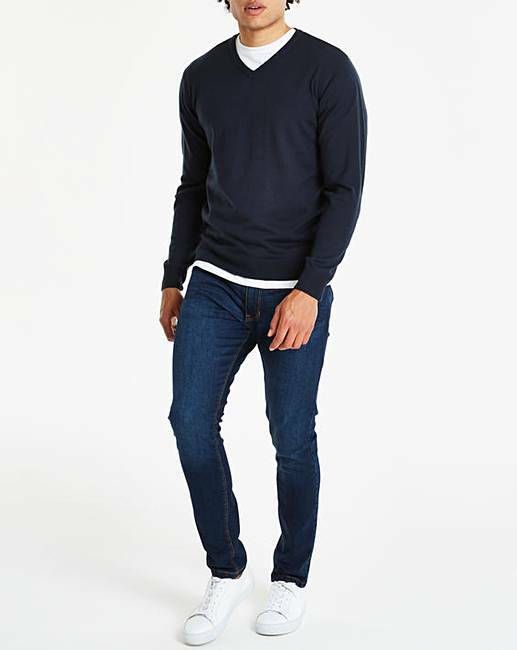 Good fit size wise and at the price I paid can't fault it . 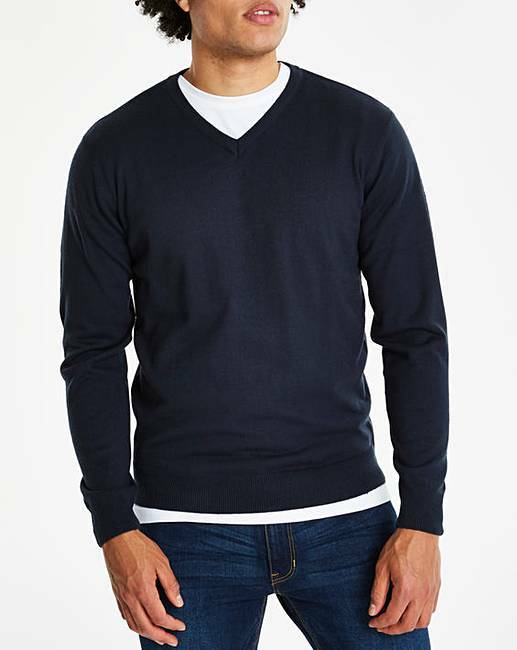 Rated 4 out of 5 by Retiredrlyman from Navy V-Neck Jumper I bought this item for every day wear, it is a bit thin, but adequate for what I need it for. The item is well made and I have no regrets about my purchase.